What kind of car is Lightning McQueen, the star of Pixar’s Cars trilogy of animated films? That’s a question DriveTribe attempted to answer in the video above, digging into the franchise’s history before the first movie even hit theaters. During development, Pixar and Chevrolet formed a partnership with the understanding McQueen would resemble the then-new C6 Chevrolet Corvette. As you likely know, McQueen looks nothing like a Corvette. However, that doesn’t mean you kind find its influence in McQueen’s overall design. The video opens discussing how McQueen is technically a stock car, like those that run in NASCAR. However, John Lasseter, the movie’s writer-director, said the shape of a NASCAR car was flat and boring, which is true. It’d be challenging to make McQueen stand out from the crowd when every other car on the track looked like him. However, there was that partnership with Chevrolet to make McQueen look like the C6 Corvette, which debuted in 2005, a year before the movie hit theaters. But as you can see, McQueen looks nothing fully like the C6 Corvette. 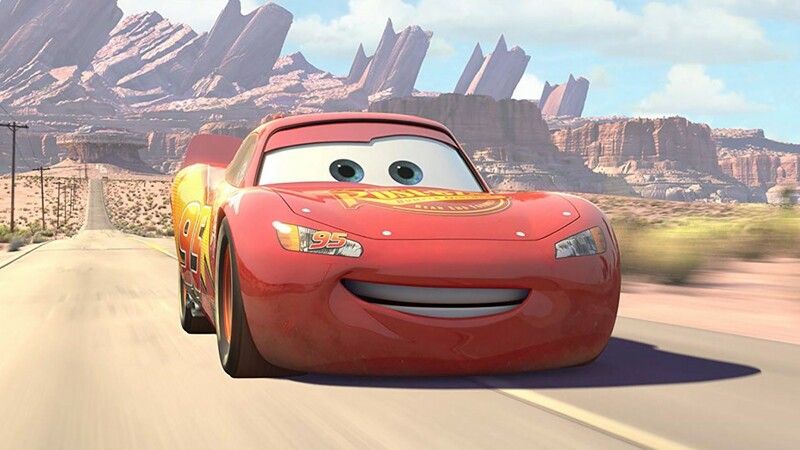 Instead, animators borrowed from several different cars to create McQueen’s iconic look. There’s even a bit of the design from a Lola and the Ford GT40. Lasseter and crew then grafted those design elements onto C6 Corvette proportions. Near the end of the video, The Grand Tour co-host James May takes a stab at guessing what kind of car McQueen is supposed to resemble. To him, the front fascia mimics that of a C6 Corvette. The swooping roofline is from a Porsche 911 while the rear end is reminiscent of a Dodge Viper. You wouldn’t say May is wrong when you look at McQueen. You can love or hate the Cars series all you want, but for many kids, the movies helped foster a love for the automobile—or at least that’s what should have happened. The movies are steeped in car culture for the enthusiasts, with enough fun, high-speed thrills, and comedy for the whole family. While McQueen never resembled the Corvette he was supposed to be, there’s little doubt his appearance is nothing buy iconic. I was 8 when the first Cars came out. It is still one of my favorite movies to this day.